After the first time I made this burger, it has become a favorite. I found this recipe online and made some variations. I made this on several occasions, and everyone loves this! 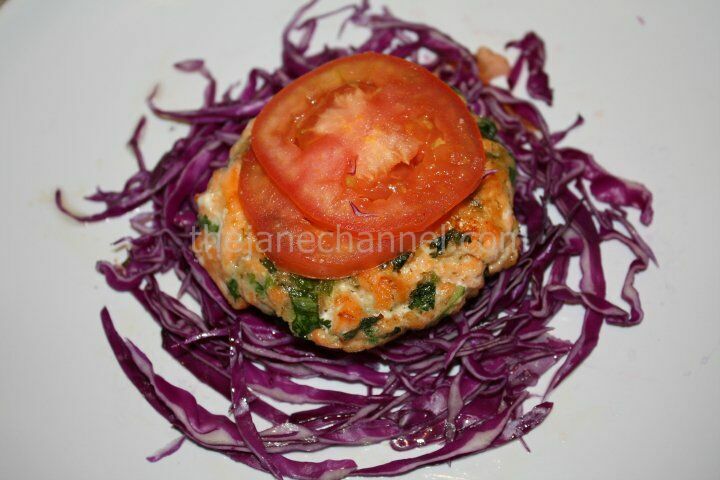 In a bowl, combine all ingredients listed above with salmon. Lightly coat skillet with oil, heat over medium to hight heat. 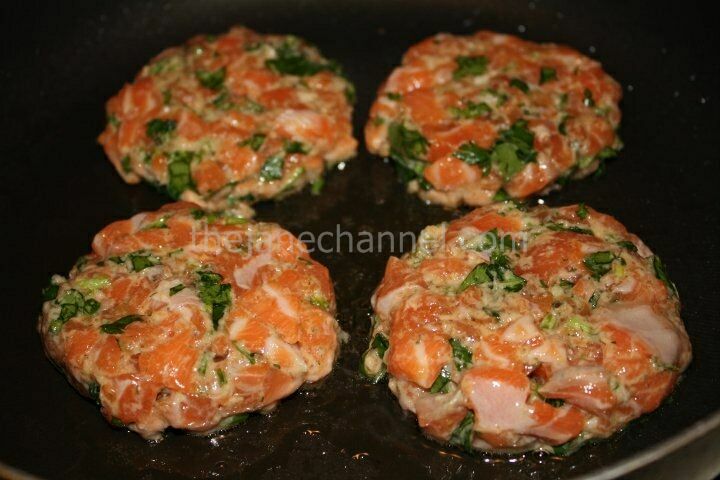 Cook patties, 5-6 minutes per side, or until desired degree of doneness. Spread the sauce* evenly over toasted buns. 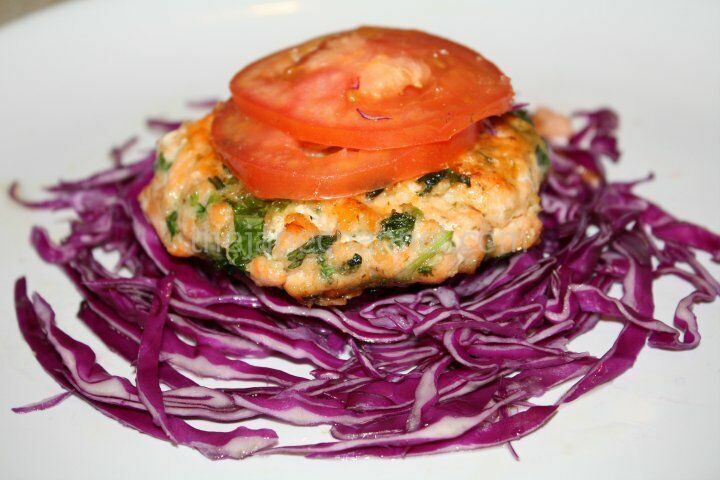 Top each with a lettuce leaf, tomato slice and salmon patty. 2 tbsps Maynonnise, 1 tbsp wasabi, 1 tbsp soy sauce, 1 tbsp sugar, 1 tbsp Lemon juice.